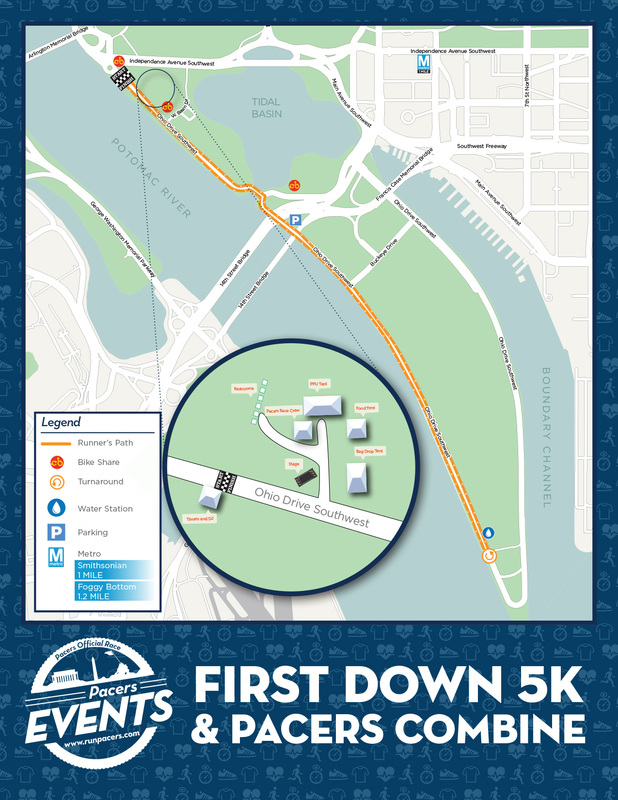 The Pacers First Down 5k and Combine is a flat, out and back along the Potomac River in Washington DC. The race falls on Super Bowl Sunday and is a great way to bang out a workout early in the morning. Temperatures hovered near freezing and there was a breeze coming off the Potomac. The race starts at 8am near Memorial Bridge so check metro times if you plan on taking the train! From Memorial Bridge we ran South 1.5 miles down Hains Point. The turn around was a little cluttered because of the water stop but if you make the turn tight you can dodge most of the traffic. When you cross the finish line you have the option of completing the combine. The combine is 20 push ups, 20 sit ups, 20 lunges and 20 jumpies. I decided against the combine because the ground was frozen solid. The race is fun! Lots of runners wear their favorite NFL jersey and the accompanying banter during the race keeps the mood light. It’s also great motivation. Nobody wants to lose to a Tom Brady jersey. I picked up my packet about 15 minutes before the race and almost 700 people ran that day. I ran the race with my pops and we crossed in 23:59. Nice little race and a good excuse to exercise on Super Bowl Sunday.